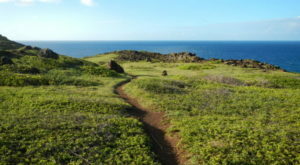 The Hawaiian Islands are home to 750 miles of stunning coastline — putting the island state behind Alaska, Florida, and California when it comes to coastline length. And while among that coastline you will find countless rock formations and sea cliffs, the beaches are what truly matters. 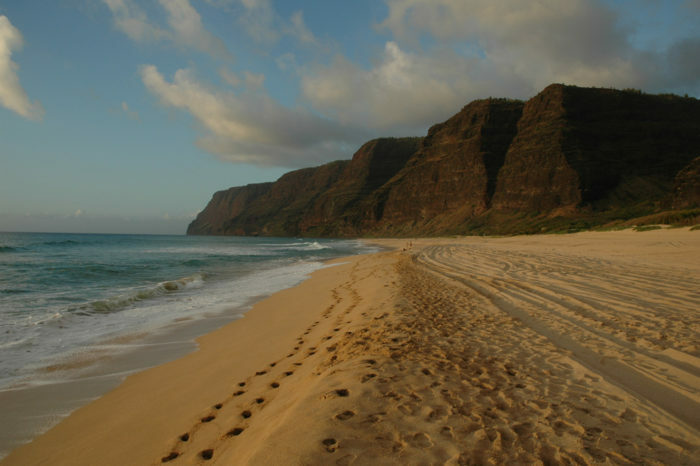 But not all Hawaii beaches are created equal, and today, we’re sharing one of the islands’ most beautiful beaches. 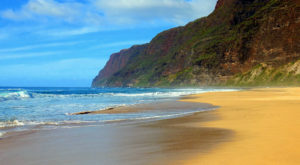 This is Polihale Beach, and it also happens to be one of the largest and most secluded beaches in Hawaii. Let’s dive in, shall we? 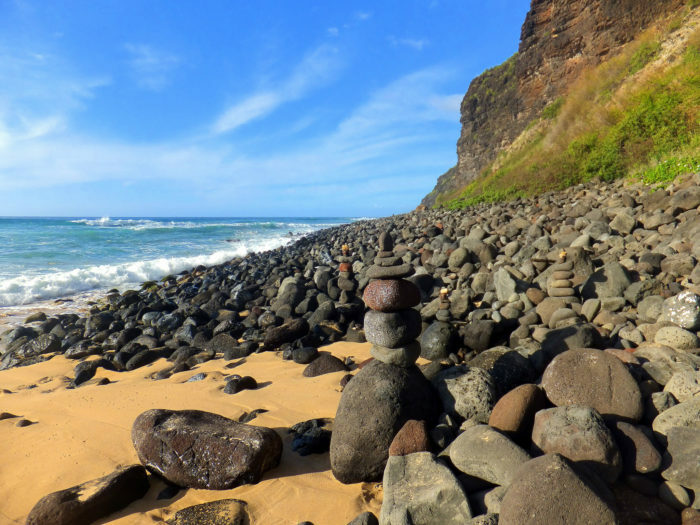 This remote, wild beach on Kauai’s western coast is located at the end of a long dirt road off Kuamuali’i Highway. 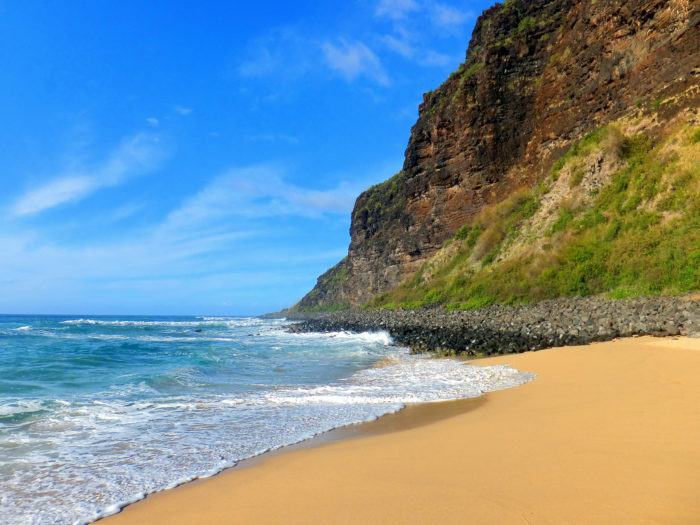 The beach is not only one of the largest stretches of sand in Hawaii, but one of the most remote and underrated beaches as well. 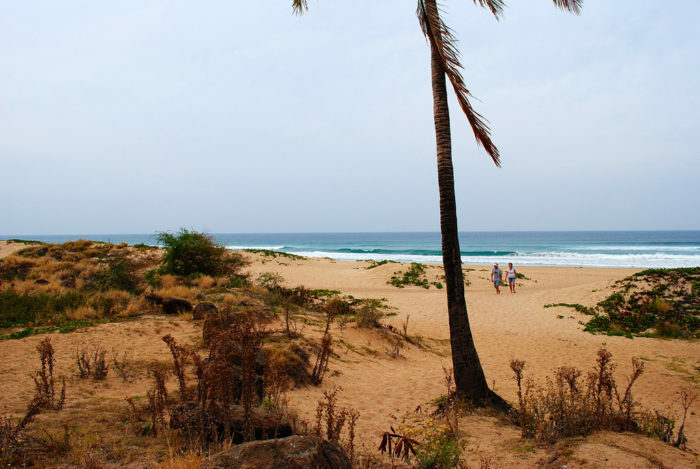 Nestled within Polihale State Park, this is easily one of the most remote, untouched slices of paradise you'll find in Hawaii. 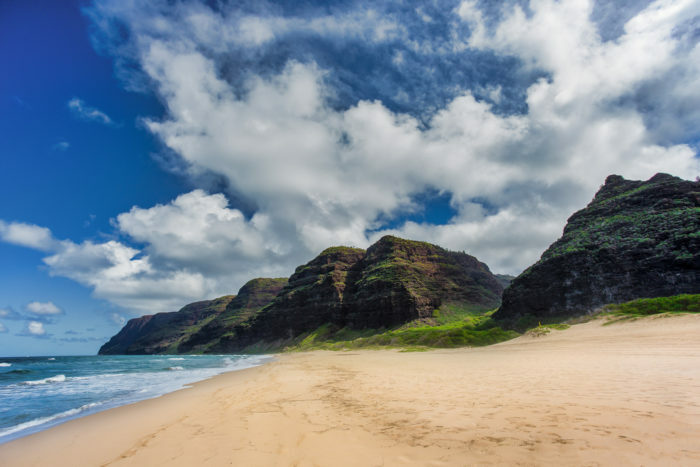 Known for its seven mile long and 300 foot wide stretch of pristine sand, and hot, cloudless days, Polihale is also the most western publicly accessible area in Hawaii. Situated at the western end of the Na Pali Coast, the views you'll find at Polihale are truly second to none. 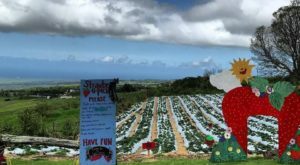 The wild and beautiful beach is often overlooked for more accessible beaches despite the fact that it is one of the most idyllic camping spots in all of Hawaii. Can you imagine a prettier spot to set up camp and fall asleep to the waves crashing along the shore? Campsite fees start at just $12 per person per night. 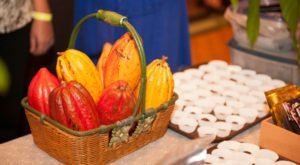 It doesn't get much more off the beaten path than this. 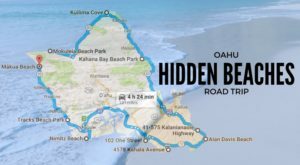 You see, the beach is located miles from the closest town — Kekaha — and is only accessible via a 5-mile poorly marked, dirt sugarcane road best handled with a four-wheel drive vehicle. 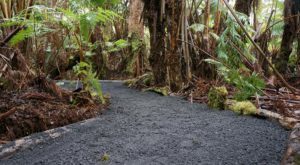 After being heavily damaged by recent flooding on the island of Kauai, the entry road to Polihale State Park was reopened on May 11, 2018. 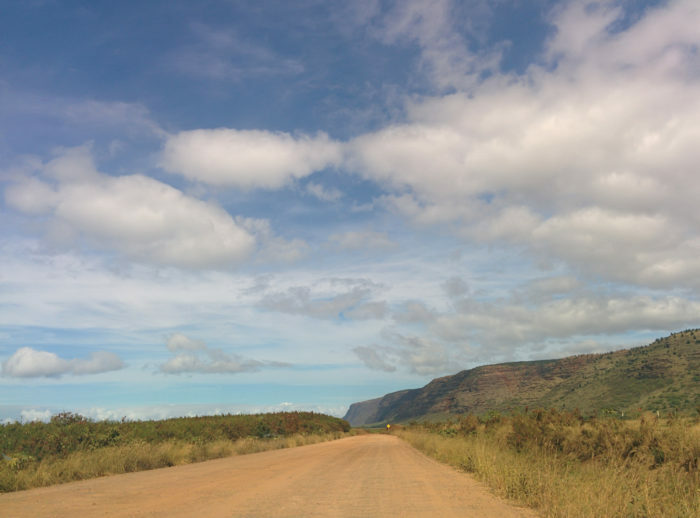 Be warned, though: many rental car companies prohibit you from driving this section of road and it is in your best interest not to break that contract. Sand dunes along the beach can reach 100 feet tall, and the mountains that frame the beach are close enough that beach-goers can often hear goats bleating on the ridge. 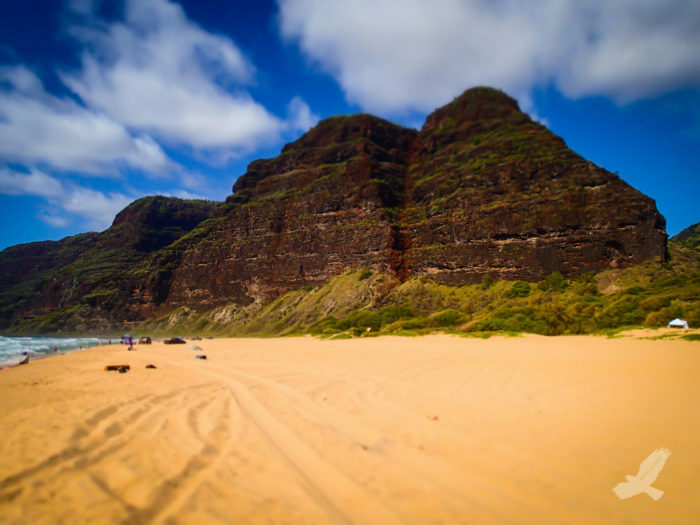 While its unprotected waters and rip currents can prove dangerous for unsuspecting swimmers, Polihale is easily one of the best beaches on the island for sunbathing, barbecuing, or just hanging out with friends and family. Shore fishing is also popular here. 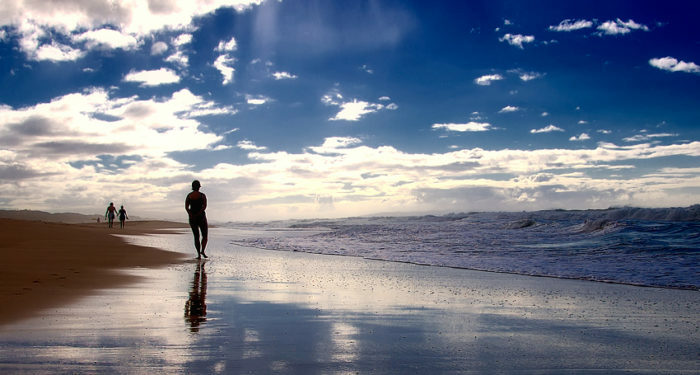 Luckily, the waters are most safe during the summer months, and as long as you head warnings and be careful, swimming here during the summer is fine. If you plan on spending much time here, we recommend bringing plenty of water, sunscreen, and a beach umbrella. 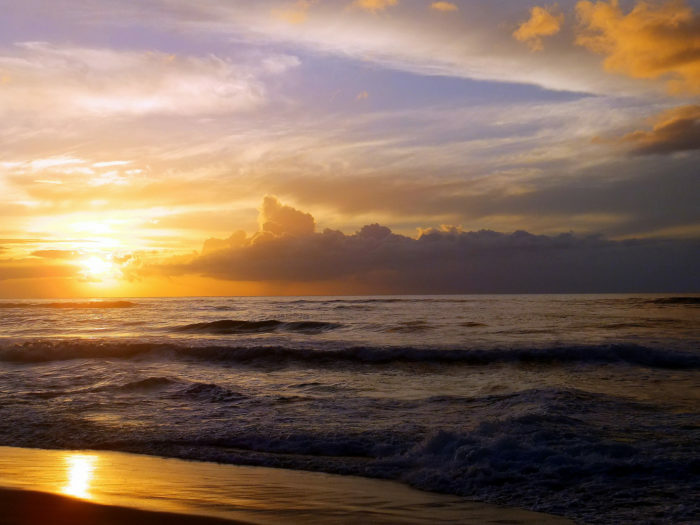 The sunsets witnessed from Polihale Beach are truly phenomenal. You wouldn’t want to find yourself without a camera at this striking beach. 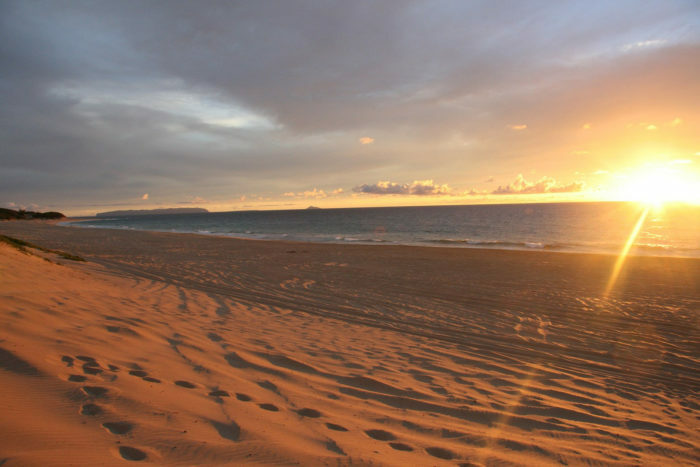 This magical stretch of sand is undoubtedly difficult to reach, but we'd like to believe that it's entirely worth it. I mean, can you really argue with seven miles of pristine beach surrounded by sand dunes, towering mountains, and the vast Pacific Ocean? 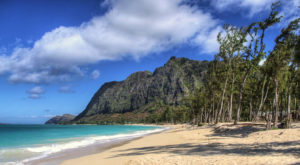 What is your favorite secluded beach in Hawaii? Share your go-to beaches in the comments below, or join our Hawaii Nature Lovers group on Facebook to share your best beach photos. 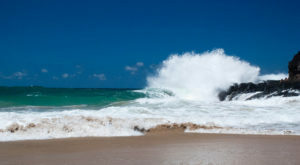 You might also be interested in learning more about one of Hawaii’s longest beaches, Papohaku Beach!